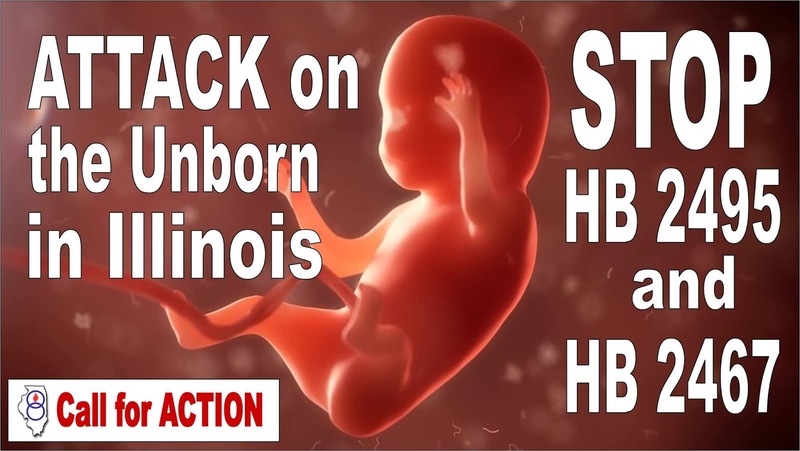 The Illinois abortion bills HB2467 and HB2495 which would have enshrined abortion in Illinois were not called in the Human Services Committee on March 6th. Instead they were placed in a sub-committee. Reasons why they were not called are speculative but it should be known the amount of witness slips that were submitted as opponents surely had some influence in the decision not to call the bill. Planned Parenthood, the ACLU, and Personal PAC have joined forces, with Governor JB Pritzker and several lawmakers once again, to eradicate any and all limits on killing babies in Illinois in the form of two bills; HB 2495 and HB 2467. Both are in the Human Services Committee These bills need to be stopped! This must be stopped. Planned Parenthood and the ACLU will stop at nothing to achieve their body-and soul-destroying goals. If we fail to do everything in our power to block the passage of these bills, we become complicit in the destruction of countless more innocent lives. This abortion extremism must be stopped! Ask your state legislators to vote against HB 2495 and HB 2467.